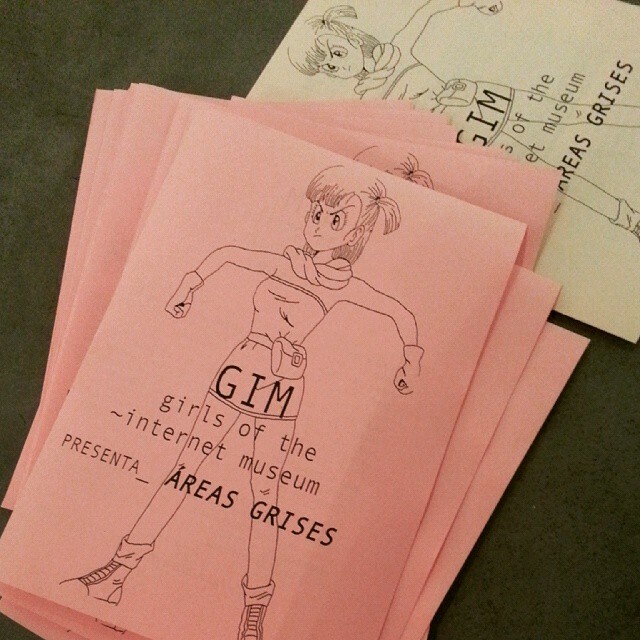 The GIM girls of the ~internet museum is a space where an hyper-subjective notion of the girly online experience is constructed by showing the artistic productions of ~girls on the internet, with an appreciation for sincerity and the creation of knowledge from subjectivity. 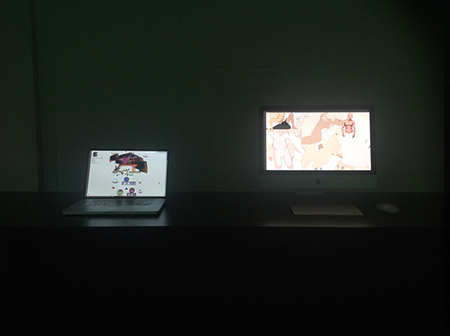 The institution's selection of works, responds to four different core ideas: sincerity; a subjective representation of girliness that can ultimately convey a more universal -yet specific- statement on the female condition; a sensibility to translate artistic intention into online-representation and viceversa; and the acknowledgement of the fluidity between emotions/reality in the online/offline worlds, meaning, the cyborg condition we all embody in present times. 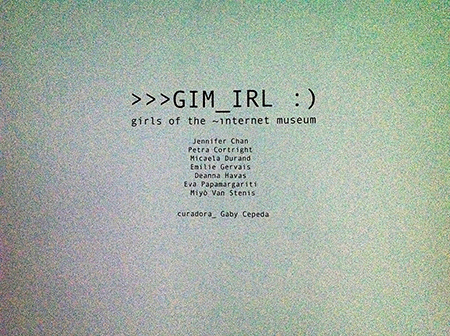 Founded in 2012 by Gaby Cepeda, the ~GIM has evolved into an attempt at a generational portrait of women artists and their different mediations of reality, through the tools of our hyperconnected existence. 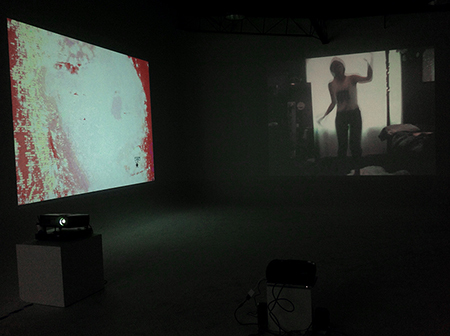 At Sala Luis Miró Quesada, February, 2015. 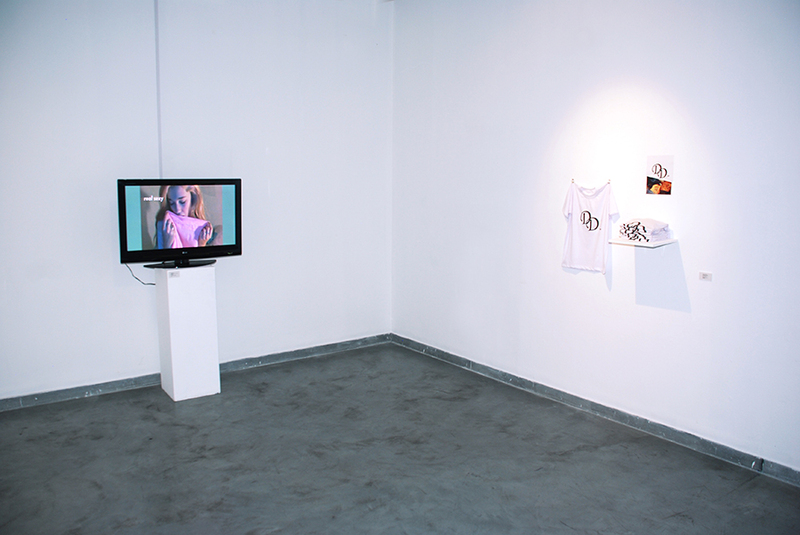 Miraflores, Lima, Perú. 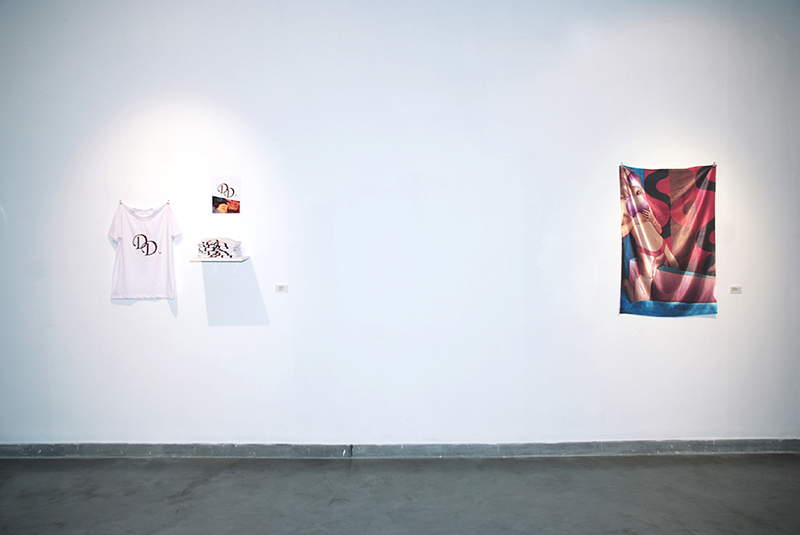 The show takes on two ideas that feature prominently in the museum’s collection: one, the female body as commodity or a place of capital production; and two, works that deal with personal metaphysics and introspective exploration, the possibilities of the body as vessel. 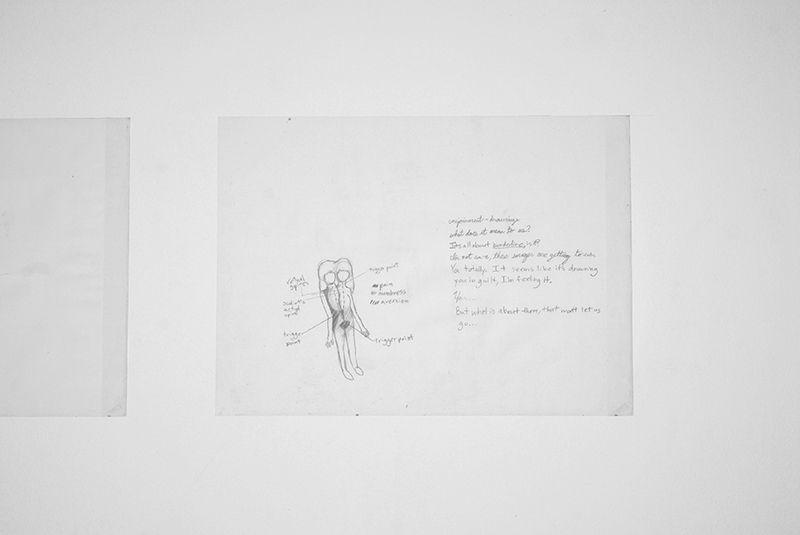 Hannah Black, My Bodies, 2014. 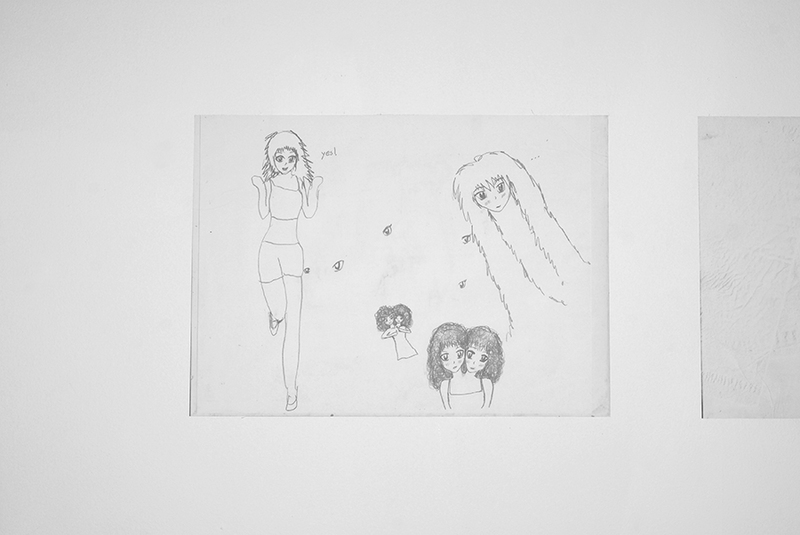 Andrea Crespo, sis (personal drawings), 2014. 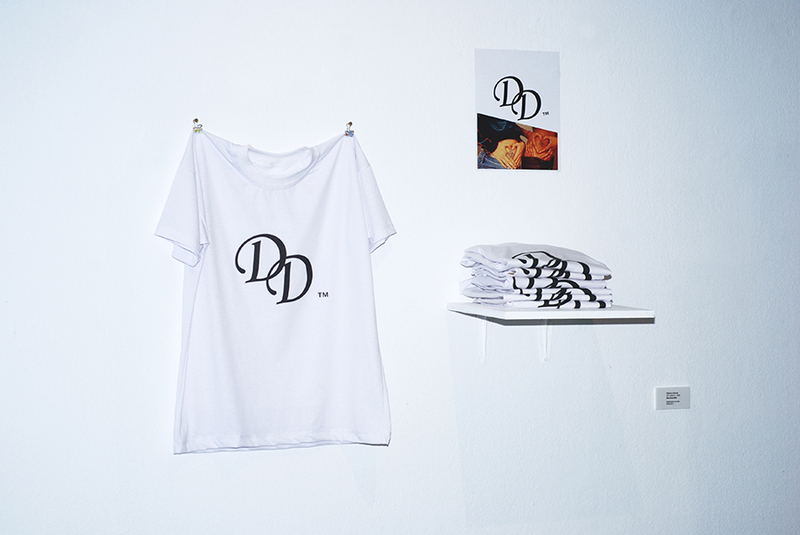 Débora Delmar Corp., Merchandise, ongoing. 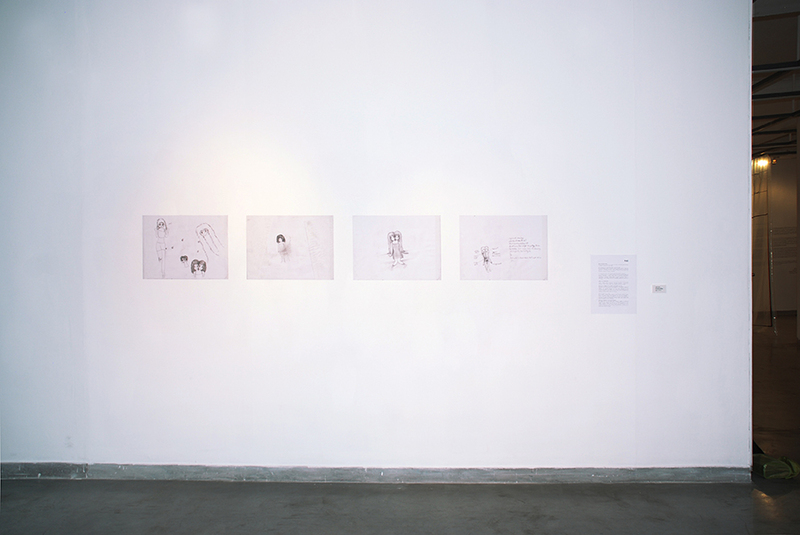 Saoirse Wall, you only need follow the rules, and all will be well, 2014. 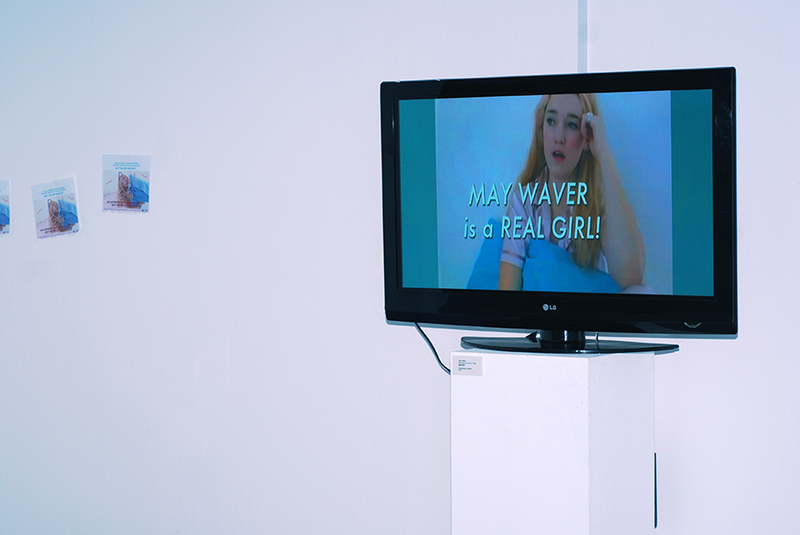 May Waver, Real Girl, 2014. 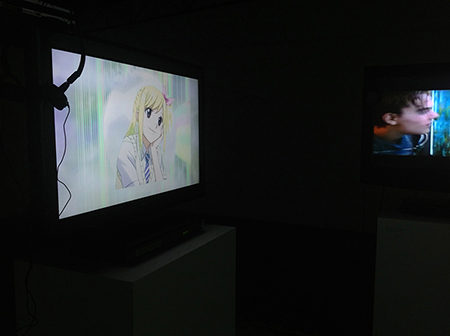 At NNM_Gallery, July 5th, 2013. 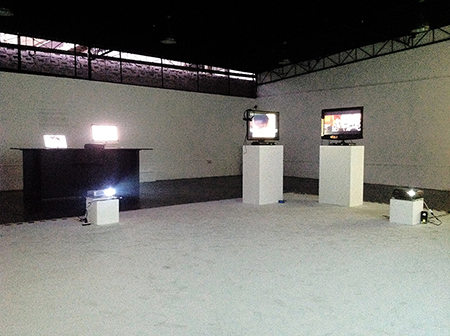 Lima, Perú. 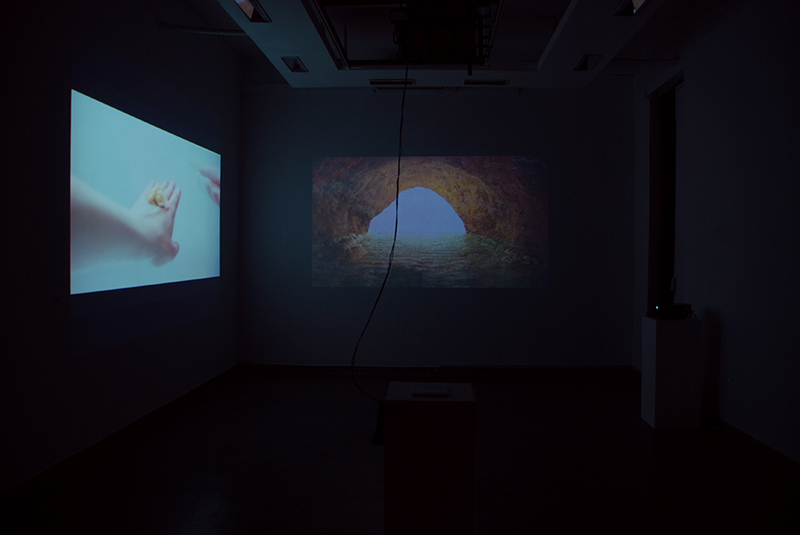 In its first offline/IRL presentation, the museum wanted to expand on the possibilities of the works' digital-native environment into a more immersive and sensorial experience; considering that the different ways in which these works can be exhibited in the physical space, allows their IRL outcomes to transform indefinitely. 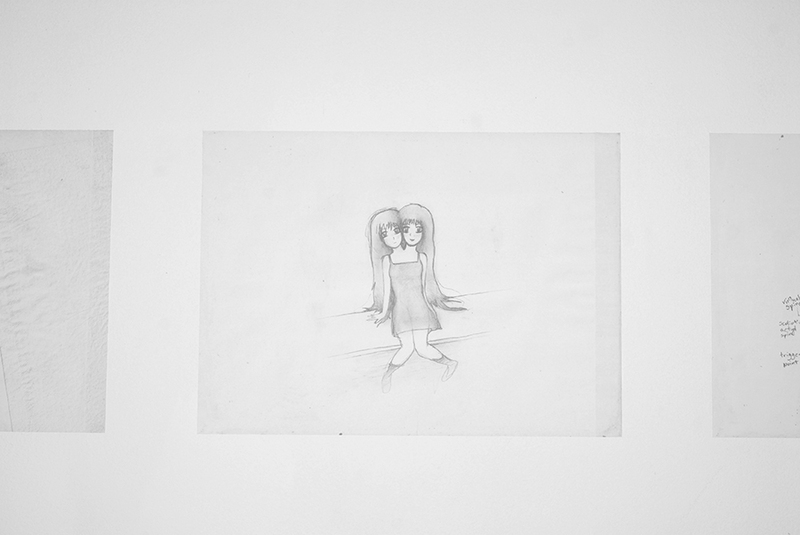 Jennifer Chan, Grey Matter, 2013. 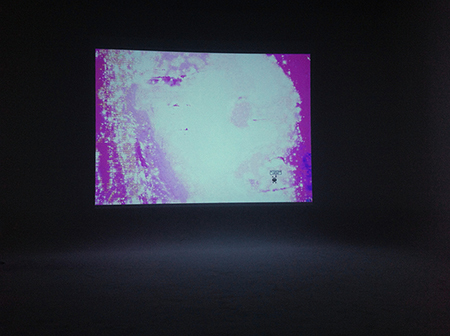 Petra Cortright, Angel Eyez, 2011. 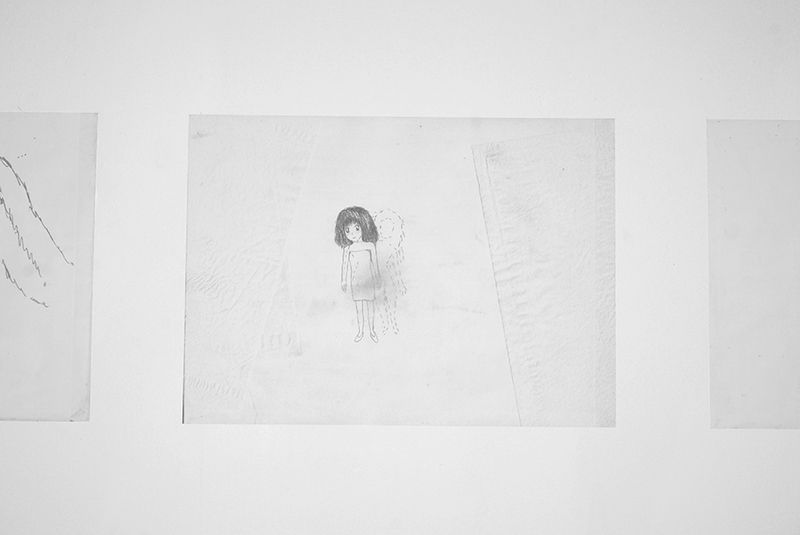 Emilie Gervais, Light Insects Dripping, 2013. 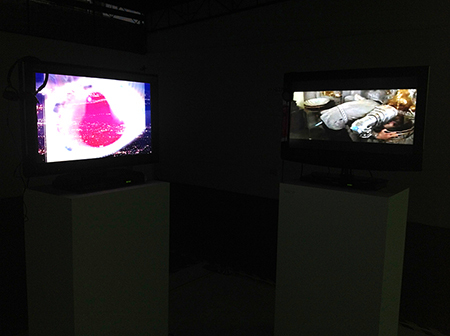 Eva Papamargariti, Land 3.0, 2012. 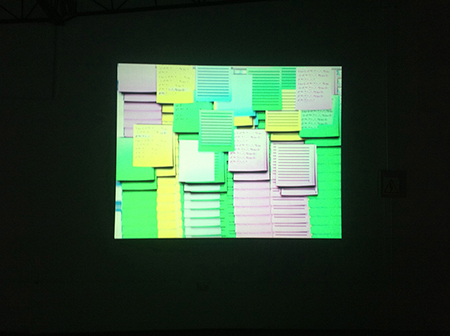 Miyö Van Stenis, Post_it_desktop_Feedback, 2012.